I found my product on DiscoverCloud, how can I claim it ? If you’ve found your company’s product on DiscoverCloud’s marketplace, it means our team of researchers found your product to be a great fit for our audience. 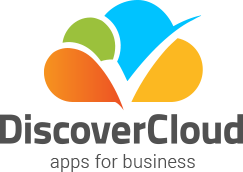 In order to claim your product, feel free to visit our Support Center, or simply email support@DiscoverCloud.com and request a product claim. Please include your product’s name in the Subject Line.